We all know Donald Trump loves a good public fight with his critics. Hardly a day goes by without Trump tweeting something about opponents, critics, or the media at large, usually insulting and including favorite pet names Trump has assigned them. Today alone Trump tweeted about the “Fake News Media” being the “absolute Enemy of the People and our Country Itself!’, as well as attacking Facebook, Google, and Twitter. President Donald Trump on Tuesday blasted George Conway, the husband of top White House adviser Kellyanne Conway, as “a total loser” following the conservative attorney’s tweets suggesting that the president is not mentally fit to serve. “No, I don’t share those concerns,” she said, speaking to reporters on the White House driveway after having done an interview with Fox News from the North Lawn. “I have four kids and I was getting them out of the house this morning to talk to the president about substance, so I may not be up to speed on all of them,” Kellyanne Conway said, referring to her husband’s tweets. Life must be fun in the Conway household during Trump’s term in office. It’s one thing to express specific criticisms of policy and comportment in either direction. 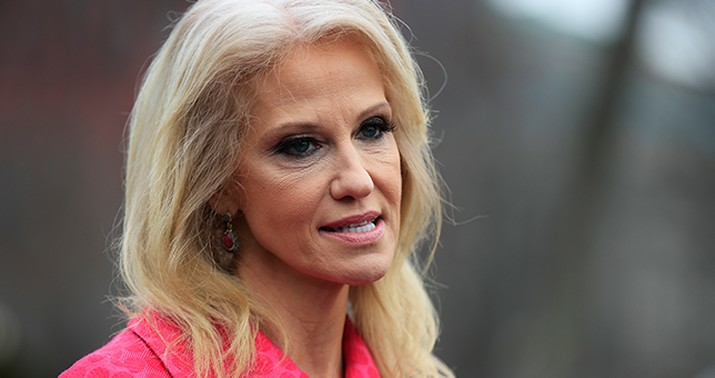 This has gotten personal and ugly, as often happens with Trump’s public feuds, but those usually don’t involve the spouse of an inner-circle figure of Kellyanne Conway’s stature. Trump relies on Kellyanne to make his public case from the White House, and having her husband call Trump crazy on Twitter is a distraction no matter what the White House says to the contrary. George Conway said in an interview Tuesday that he has had a number of notable interactions with Trump over the past decade, often concerning legal representation and sensitive legal matters since Trump became president. He described the president as “mendacious” and “incompetent” and predicted he would not win reelection. Huh? It’s a strategy, I guess, but humiliating your wife in public so that you don’t argue in the house doesn’t sound like a sustainable plan to me. The impression it gives off is that Conway likes the attention and wants to constantly remind everyone he doesn’t like his wife’s boss, regardless of the impact it might have on her. YMMV, I suppose. One way or the other, it should come to an end. The fact that it hasn’t seems to indicate that Trump is enjoying the combat, which is something George Conway should perhaps keep in mind. Failing that, it falls to Kellyanne to get out of the line of fire. Both combatants seem to have her interests least in mind, which maybe she should be considering as well. This public name-calling within the West Wing is beneath the office, even if it clearly isn’t beneath both men. In case you don’t get the reference in the headlines, here’s an explanatory scene from David Mamet’s excellent film Heist. (Academic sources on the “dozens” instruct that it’s primarily a social interaction in African-American communities and usually done in fun rather than earnest, although I believe I first read about it in a story by Herman Wouk about his childhood.) Consider this a Rorschach test: is Trump Gene Hackman and Conway Sam Rockwell, or the other way around?